Nail polish and nail polish remover go hand in hand. If you want to take good care of your nails, choosing a good nail polish remover is important. 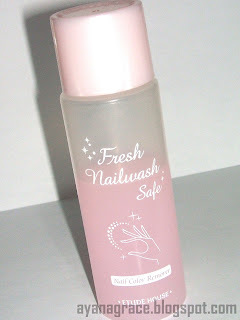 The Etude House Fresh Nailwash Safe Nail Color Remover comes in two scents - No. 1 (Sweet Floral, pink) and No. 2 (Fresh Floral, blue). And of course I bought the pink one. As for its effectiveness (of course this would vary depending on how heavy your polish is): I usually apply two coats of color and one cotton pad of this product can remove polish from five of my nails (sometimes more) if the color is not that dark or deep. I cannot think of anything I don't like about this product yet. 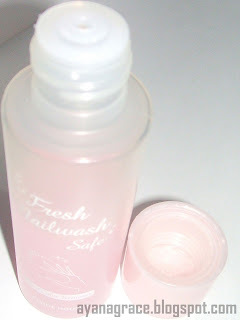 Price: 78 Php for a 100-ml bottle. 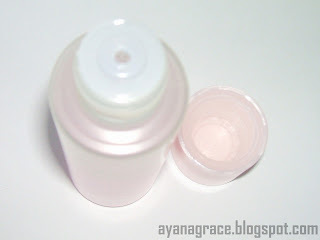 Is this for removing Nail Polish? ?